In 1740, Portobello Farm was built in the area near what is now Golborne Road. 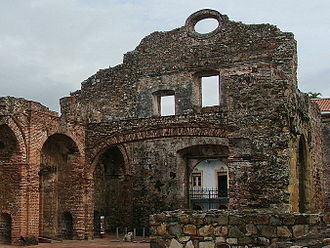 The farm got its name from a popular victory during the lost War of Jenkins' Ear, when Admiral Edward Vernon captured the Spanish-ruled town of Puerto Bello (now known as Portobelo in modern-day Panama). Vernon Yard, which runs off Portobello Road, still honours the Admiral's name to this day. The Portobello farming area covered the land which is now St. Charles Hospital. 1841 map of the Environs of London, showing the Portobello Farm on the upper left hand side, and Porto Bello Lane. Portobello Farm was sold to an order of nuns after the railways came in 1864. They built St Joseph's Convent for the Dominican Order - or the "Black Friars" as they were known in England. Portobello Road is a construction of the Victorian era. Before about 1850, it was little more than a country lane connecting Portobello Farm with Kensal Green in the north and what is today Notting Hill in the south. 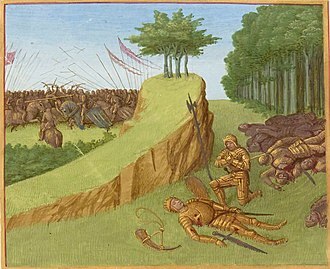 Much of it consisted of hayfields, orchards and other open land. The road ultimately took form piecemeal in the second half of the 19th century, nestling between the large new residential developments of Paddington and Notting Hill. Its shops and markets thrived on serving the wealthy inhabitants of the elegant crescents and terraces that sprang up around it, and its working class residents found employment in the immediate vicinity as construction workers, domestic servants, coachmen, messengers, tradesmen and costermongers. After the Hammersmith and City Railway line was completed in 1864, and Ladbroke Grove station opened, the northern end of Portobello Road was also developed, and the last of the open fields disappeared under brick and concrete. Portobello Road's distinctiveness does not rely only on its market. A range of communities inhabiting the street and the district contributes to a cosmopolitan and energetic atmosphere, as do the many restaurants and pubs. The architecture plays a part too, as the road meanders and curves gracefully along most of its length, unlike the more formally planned layout of most of the nearby area. Mid- to late-Victorian terrace houses and shops predominate, squeezed tightly into the available space, adding intimacy and a pleasing scale to the streetscape. The Friends of Portobello campaign seeks to preserve the street's unique dynamic, as the potential arrival of big-brand chain stores threatens the locals. Portobello Road is also home to the Grade II* Electric Cinema, one of Britain's oldest cinemas. The road descends from 84 feet (25.6 m) above sea level at the northern end, the highest point, to a lowest point of 65 feet (19.8 m), just south of the overpasses, after which the road rises and falls before reaching a high point of 78 feet (23.8 m) at the southern end. The average grade of ascent or descent between the northern end and the lowest point is about 1.77 percent. Portobello Road Market, June 2005. Portobello Road Market draws thousands of tourists each year. The main market day for antiques is Saturday, the only day when all five sections are opened: second-hand goods, clothing and fashion, household essentials, fruit, vegetables and other food, and antiques. However, there are also clothing, antique, bric-a-brac, fruit and vegetable stalls throughout the week and are located further north than the antiques, near the Westway Flyover. Shops and Cafes are opened daily. The market began as many other London market and mainly sold fresh-food in the 19th century; antiques and wares dealers arrived in the late 1940s and '50s, and gradually antiques have become the very main attraction of this market, having a substantial number of them trading mainly on Saturday mornings. It is the largest antiques market in the UK. 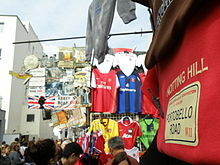 The market section of Portobello Road runs in a direction generally between the north-northwest and the south-south-east. The northern terminus is at Golborne Road; the southern end is at Westbourne Grove, to the east. The market area is about 1,028 yards (940 m) long. About one third of the way from its north end, the market runs beneath adjacent bridges of the A40 road and the Hammersmith & City line of the London Underground. Here the market focuses on second hand clothes as well as trendy couture. The 1950 Ealing Studios police thriller, The Blue Lamp, starring Dirk Bogarde and Jack Warner, as P.C. George Dixon, a character later revived in the long-running TV drama, Dixon of Dock Green, featured location filming in the Paddington / Notting Hill / Portobello area. It features good shots of these locations in pre-Westway days, and includes a thrilling car chase along largely traffic-free roads, including Portobello Road. In the short story "The Portobello Road", Muriel Spark narrates the story of a murderer who, visited by the ghost of his victim, Macbeth-style, tends to constantly go to the Portobello Road market to meet her. "The Portobello Road" was included in the 1958 collection of stories The Go-away Bird and Other Stories. In the narrative introduction to their song Have Some Madeira M'Dear, Michael Flanders of Flanders & Swann mentions a decanter he owns, - "cut glass, from the Portobello Road" - in which he keeps Madeira. 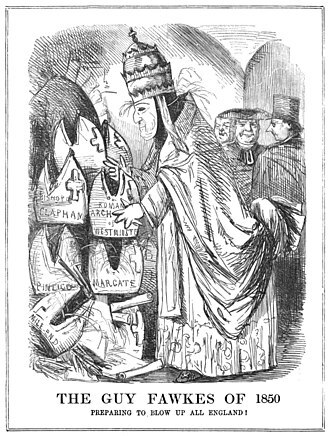 That decanter plus his Edwardian hat, are credited as the inspirations for the song (album: At the Drop of a Hat). 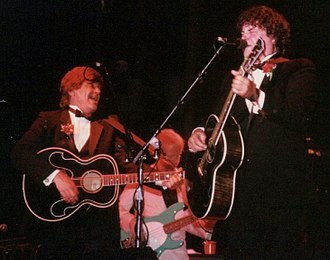 in 1966, singer Donovan recorded the song "Sunny South Kensington" containing the lyrics, "in the Portobella I met a fella with a cane umbrella." 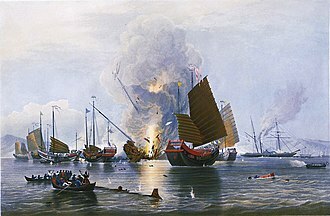 In the 1970 novel The Chinese Agent by author Michael Moorcock, a world-renowned jewel-thief more than meets his match when he attempts to swipe a brooch from a Portobello Road market stall, and is hunted down through the streets like a dog by the sharp-eyed market traders. The market was featured in the 1971 musical film, Bedknobs and Broomsticks in a scene involving a song ("Portobello Road") and dance in and around the market staged on sets built at Disney's Burbank studios. The lyrics refer to the market and the people who live and work there. 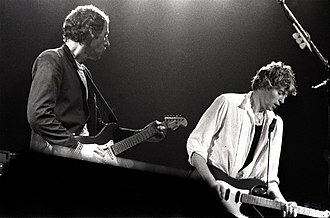 In 1978, the rock band Dire Straits sang about the road in the song "Portobello Belle" on their second album Communiqué. The cult British children's book character Paddington Bear, featured in the books written by Michael Bond, enjoys visiting Portobello Market on a daily basis. His friend Mr. Gruber owns an antique shop on the Portobello Road, with whom Paddington has his elevenses every day. 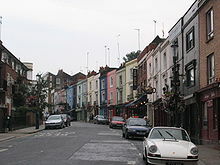 The Portobello Road and its colorful restaurants, pubs, and local culture is featured prominently in Martin Amis's 1989 dark satirical novel London Fields. The street and its name also appeared regularly on the hit TV series Minder. The board game Portobello Market is named after this market. BBC One's daytime antiques-based gameshow Bargain Hunt regularly features contestants buying items at the market to later sell at auction. It is also referenced in the song "Blue Jeans" by alternative rock band Blur, from the 1993 album Modern Life Is Rubbish, in which the opening lyrics are "Air cushioned soles, I bought them on the Portobello Road on a Saturday." 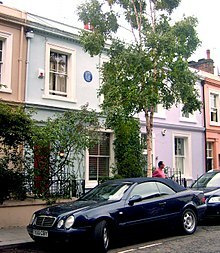 It was the setting for the 1999 film Notting Hill, with much of the filming taking place on the street. The famed blue door, however, no longer exists, having been sold. In 2006, the 20 minute documentary Portobello: Attack of the Clones won London awards and was screened a number of times at the infamous Electric Cinema. 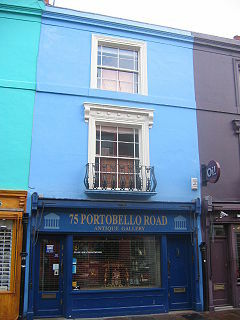 The film showed how Portobello Road is threatened by high street stores changing the street's independent spirit. It featured a large number of local stallholders and influencers, and was made by local filmmakers Paul McCrudden and Alex Thomas for TAG Films. In 2008, Ruth Rendell published a novel set in the area entitled, Portobello. The B-side of British Singer-Songwriter Cat Stevens' 1966 single "I Love My Dog" is titled "Portobello Road" and discusses a walk through the famous street and market. The track also appears on Cat Stevens' 1967 debut album Matthew and Son. One of the most famous TV show, from 1977 to 1983, in Italian television broadcast RAI was named Portobello after Portobello Road. The programme was suspended after the arrest of the anchorman Enzo Tortora for drug selling. Afterwards in 1987 Tortora was declared innocent and became a symbol, in Italian popular culture, of the victim of miscarriages of justice. In 1987, Tortora come back in television with Portobello. In Caetano Veloso's "Nine Out Of Ten" song from the 1972 album Transa, he sings "walk down Portobello Road to the sound of reggae". The Brazilian artist lived in London in the late 1960s and early 1970s because of his exile from Brazil. In the Only Fools and Horses episode Cash and Curry, Conmen who con Del Boy and Rodney Trotter using a statue of Kubera bought it from Portobello Road. The idea for the episode is as the writer, the late John Sullivan visited the street and it gave him an idea for a new episode. Portobello Road is also mentioned in Indian Urdu writer Shamsur Rehman Faruqui's 2006 novel The Mirror of Beauty. ^ "London Markets Portobello Road". London Markets. Archived from the original on 11 January 2008. Retrieved 21 January 2008. 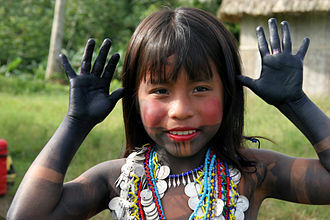 ^ "Festival Reports". Portobello Road Film Festival. 2005. Retrieved 2008-01-21. ^ Sheppard, F. H. W. (1973). "The village centres around St. Mary Abbot's Church and Notting Hill Gate". Survey of London. volume 37. pp. 25–41. Retrieved 2008-01-21. ^ "Portobello Farm by E Adveno Brookes - 19th Century". Royal Borough of Kensington and Chelsea Libraries. Retrieved 2008-01-21. ^ Harrison-Wallace, Charles. "The Coach & Signpainter". Pub Signs & Decoration. Retrieved 2008-01-21. 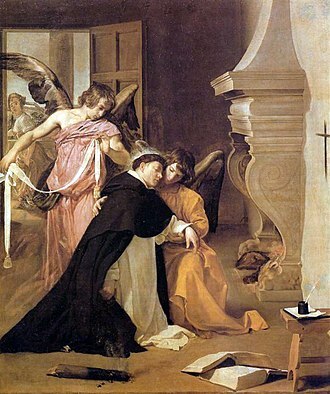 ^ "St Charles Hospital". National Health Service. Retrieved 2008-01-21. ^ "The history of Portobello and Notting Hill". mynottinghill.co.uk. Archived from the original on 2007-12-23. Retrieved 2008-01-21. ^ Spark, Muriel (1958). The Go-away Bird and Other Stories. Macmillan, London. ^ "Bedknobs and Broomsticks". The Walt Disney Company. Retrieved 2008-01-21. Notting Hill is an affluent district in West London, located north of Kensington within the Royal Borough of Kensington & Chelsea as well as Westminster. Notting Hill is known for being a neighbourhood, hosting the annual Notting Hill Carnival. For much of the 20th century, the houses were subdivided into multi-occupancy rentals. Since it was first developed in the 1820s, Notting Hill has had an association with artists, the area in the west around Pottery Lane was used in the early 19th century for making bricks and tiles out of the heavy clay dug in the area. The clay was shaped and fired in a series of brick, the only remaining 19th-century tile kiln in London is on Walmer Road. In the same area, pig farmers moved in after being forced out of the Marble Arch area, avondale Park was created in 1892 out of a former area of pig slurry called the Ocean. This was part of a general clean-up of the area which had known as the Potteries and Piggeries. 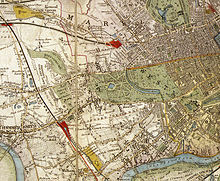 The area remained rural until the expansion of London reached Bayswater in the early 19th century. The main landowner in Notting Hill was the Ladbroke family, working with the architect and surveyor Thomas Allason, Ladbroke began to lay out streets and houses, with a view to turning the area into a fashionable suburb of the capital. Many of these bear the Ladbroke name, including Ladbroke Grove, the main north-south axis of the area, and Ladbroke Square. 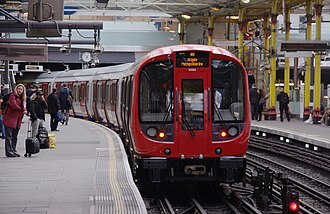 The original idea was to call the district Kensington Park, the local telephone prefix 7727 is based on the old telephone exchange name of PARk. 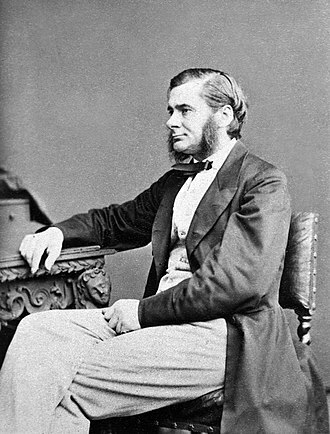 Ladbroke left the business of developing his land to the firm of City solicitors, Bayley. In 1823 Allason completed a plan for the layout of the portion of the estate. This marks the genesis of his most enduring idea – the creation of large communal gardens, originally known as pleasure grounds, or paddocks. To this day these communal garden squares continue to provide the area much of its attraction for the wealthiest householders. In 1837 the Hippodrome racecourse was laid out, the racecourse ran around the hill, and bystanders were expected to watch from the summit of the hill. 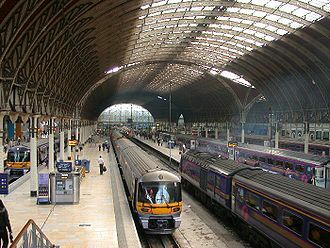 Paddington is an area within the City of Westminster, in central London. Formerly a metropolitan borough, it was integrated with Westminster and Greater London in 1965, a major project called Paddington Waterside aims to regenerate former railway and canal land between 1998 and 2018, and the area is seeing many new developments. However, the provenance is much and likely to have been forged after the 1066 Norman conquest. There is no mention of the place in the Domesday Book of 1086, a more reliable 12th-century document cited by the cleric Isaac Maddox establishes that part of the land was held by brothers Richard and William de Padinton. In the Elizabethan and early Stuart era, the rectory, Nicholas Small was a clothworker who was sufficiently well connected to have Holbein paint a portrait of his wife, Jane Small. Nicholas died in 1565 and his wife married again, to Nicholas Parkinson of Paddington who became master of the Clothworkers company. Jane Small continued to live in Paddington after her husbands death, and her manor house was big enough to have been let to Sir John Popham. They let the building that became in this time Blowers Inn, as the regional population grew in the 17th century, Paddingtons ancient Hundred of Ossulstone was split into divisions, Holborn Division replaced the hundred for most administrative purposes. 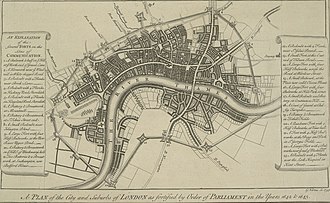 By 1773, a contemporary historian felt and wrote that London may now be said to include two cities, one borough and forty six antient villages. Roman roads formed the parishs north-eastern and southern boundaries from Marble Arch, Watling Street and, Uxbridge road, known by the 1860s in this neighbourhood as Bayswater Road. They were toll roads in much of the 18th century, before, by 1801, the area saw the start-point of an improved Harrow Road and an arm of the Grand Junction Canal - these remain. 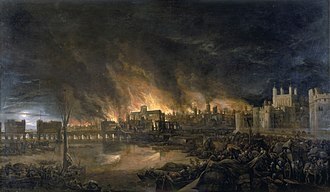 The district formed the centrepiece of an 1824 masterplan by Samuel Pepys Cockerell to redevelop the Tyburn Estate into an area to rival Belgravia. 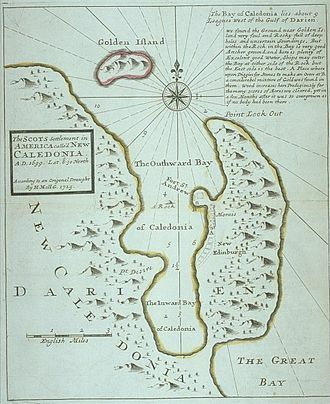 Despite this, Thackeray described the district of Tyburnia as the elegant, the prosperous, the polite Tyburnia. The grade of a physical feature, landform or constructed line refers to the tangent of the angle of that surface to the horizontal. It is a case of the slope, where zero indicates horizontality. A larger number indicates higher or steeper degree of tilt, often slope is calculated as a ratio of rise to run, or as a fraction in which run is the horizontal distance and rise is the vertical distance. The grades or slopes of existing physical features such as canyons and hillsides and river banks, grades are typically specified for new linear constructions. The grade may refer to the slope or the perpendicular cross slope. There are several ways to express slope, as an angle of inclination to the horizontal, as a percentage, the formula for which is 100 rise run which could be expressed as the tangent of the angle of inclination times 100. In the U. S. this percentage grade is the most commonly used unit for communicating slopes in transportation, surveying and civil engineering. As a per mille figure, the formula for which is 1000 rise run which could be expressed as the tangent of the angle of inclination times 1000 and this is commonly used in Europe to denote the incline of a railway. As a ratio of one part rise to so many parts run, for example, a slope that has a rise of 5 feet for every 100 feet of run would have a slope ratio of 1 in 20. This is generally the method used to describe railway grades in Australia, any of these may be used. Grade is usually expressed as a percentage, but this is converted to the angle α from horizontal or the other expressions. Slope may still be expressed when the run is not known. This is not the way to specify slope, it follows the sine function rather than the tangent function. But in practice the way to calculate slope is to measure the distance along the slope and the vertical rise. When the angle of inclination is small, using the slope length rather than the horizontal displacement makes only an insignificant difference, Railway gradients are usually expressed in terms of the rise in relation to the distance along the track as a practical measure. In cases where the difference between sin and tan is significant, the tangent is used. Macbeth is a tragedy by William Shakespeare, it is thought to have been first performed in 1606. It dramatises the damaging physical and psychological effects of political ambition on those who seek power for its own sake. 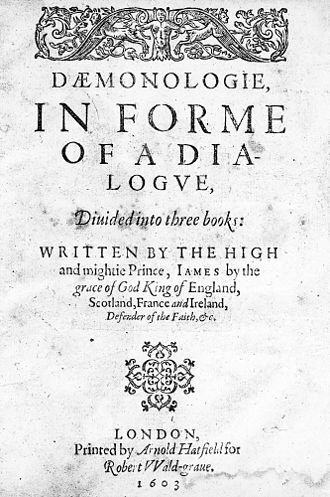 Of all the plays that Shakespeare wrote during the reign of James I and it was first published in the Folio of 1623, possibly from a prompt book, and is his shortest tragedy. A brave Scottish general named Macbeth receives a prophecy from a trio of witches that one day he will become King of Scotland, consumed by ambition and spurred to action by his wife, Macbeth murders King Duncan and takes the Scottish throne for himself. 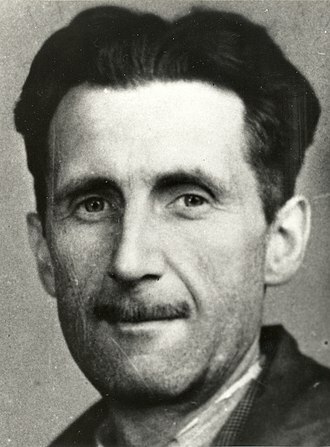 He is wracked with guilt and paranoia, forced to commit more and more murders to protect himself from enmity and suspicion, he soon becomes a tyrannical ruler. The bloodbath and consequent civil war swiftly take Macbeth and Lady Macbeth into the realms of madness, the events of the tragedy are usually associated with the execution of Henry Garnet for complicity in the Gunpowder Plot of 1605. In the backstage world of theatre, some believe that the play is cursed, over the course of many centuries, the play has attracted some of the most renowned actors to the roles of Macbeth and Lady Macbeth. It has been adapted to film, opera, comics, the play opens amidst thunder and lightning, and the Three Witches decide that their next meeting shall be with Macbeth. Macbeth, the Kings kinsman, is praised for his bravery, in the following scene and Banquo discuss the weather and their victory. As they wander onto a heath, the Three Witches enter, though Banquo challenges them first, they address Macbeth, hailing him as Thane of Glamis, Thane of Cawdor, and that he shall be King hereafter. Macbeth appears to be stunned to silence, when Banquo asks of his own fortunes, the witches respond paradoxically, saying that he will be less than Macbeth, yet happier, less successful, yet more. He will father a line of kings though he himself will not be one, while the two men wonder at these pronouncements, the witches vanish, and another thane, Ross and informs Macbeth of his newly bestowed title, Thane of Cawdor. A pub, or public house, is an establishment licensed to sell alcoholic drinks, which traditionally include beer and cider. It is a relaxed, social drinking establishment and a prominent part of British, New Zealand, Canadian, in many places, especially in villages, a pub is the focal point of the community. In his 17th century diary Samuel Pepys described the pub as the heart of England, Pubs can be traced back to Roman taverns, through the Anglo-Saxon alehouse to the development of the tied house system in the 19th century. In 1393, King Richard II of England introduced legislation that pubs had to display a sign outdoors to make them easily visible for passing ale tasters who would assess the quality of ale sold, most pubs focus on offering beers and similar drinks. As well, pubs often sell wines and soft drinks, the owner, tenant or manager is known as the pub landlord or publican. The pub quiz was established in the UK in the 1970s and these alehouses quickly evolved into meeting houses for the folk to socially congregate and arrange mutual help within their communities. Herein lies the origin of the public house, or Pub as it is colloquially called in England. They rapidly spread across the Kingdom, becoming so commonplace that in 965 King Edgar decreed that there should be no more than one alehouse per village. 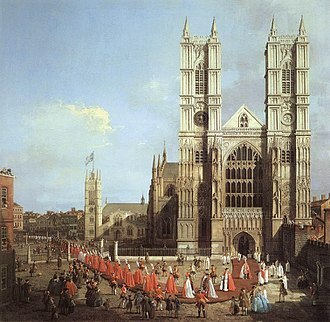 A traveller in the early Middle Ages could obtain overnight accommodation in monasteries, the Hostellers of London were granted guild status in 1446 and in 1514 the guild became the Worshipful Company of Innholders. A survey in 1577 of drinking establishment in England and Wales for taxation purposes recorded 14,202 alehouses,1,631 inns, Inns are buildings where travellers can seek lodging and, usually and drink. They are typically located in the country or along a highway, in Europe, they possibly first sprang up when the Romans built a system of roads two millennia ago. Some inns in Europe are several centuries old, in addition to providing for the needs of travellers, inns traditionally acted as community gathering places. In Europe, it is the provision of accommodation, if anything, the latter tend to provide alcohol, but less commonly accommodation. The musical film is a film genre in which songs sung by the characters are interwoven into the narrative, sometimes accompanied by dancing. 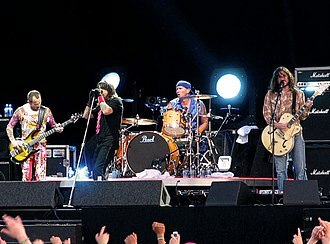 The songs usually advance the plot or develop the characters, though in some cases they serve merely as breaks in the storyline. 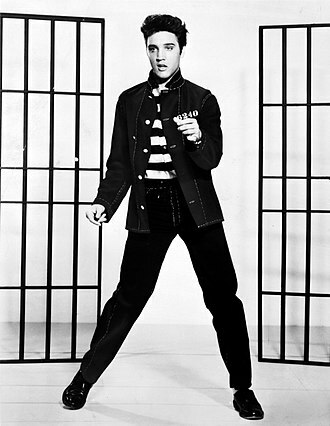 The musical film was a development of the stage musical after the emergence of sound film technology. 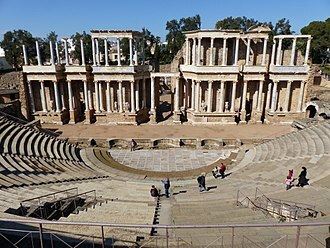 Typically, the biggest difference between film and stage musicals is the use of background scenery and locations that would be impractical in a theater. Musical films characteristically contain elements reminiscent of theater, performers often treat their song, in a sense, the viewer becomes the diegetic audience, as the performer looks directly into the camera and performs to it. 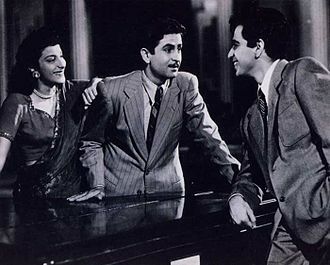 The 1930s through the early 1950s are considered to be the age of the musical film. Musical short films were made by Lee de Forest in 1923–24, beginning in 1926, thousands of Vitaphone shorts were made, many featuring bands and dancers. The Jazz Singer, released in 1927 by Warner Brothers, was the first to include a track including non-diegetic music and diegetic music. This feature-length film was a musical, featuring Al Jolson singing Dirty Hands, Dirty Face, Toot, Blue Skies and My Mammy. Historian Scott Eyman wrote, As the film ended and applause grew with the houselights and she saw terror in all their faces, she said, as if they knew that the game they had been playing for years was finally over. Still, only isolated sequences featured live sound, most of the film had only a musical score. In 1928, Warner Brothers followed this up with another Jolson part-talkie, The Singing Fool, theaters scrambled to install the new sound equipment and to hire Broadway composers to write musicals for the screen. The first all-talking feature, Lights of New York, included a sequence in a night club. The enthusiasm of audiences was so great that in less than an all the major studios were making sound pictures exclusively. The Broadway Melody had a plot about two sisters competing for a charming song-and-dance man. 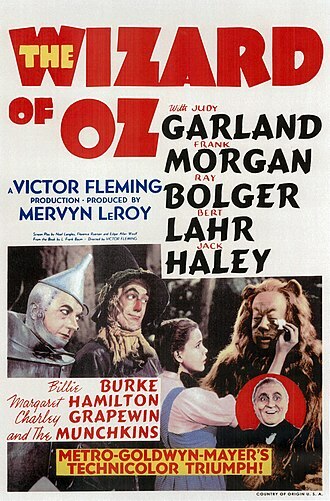 Advertised by MGM as the first All-Talking, All-Singing, All-Dancing feature film, it was a hit, there was a rush by the studios to hire talent from the stage to star in lavishly filmed versions of Broadway hits. The Electric Cinema is a movie theatre in Notting Hill, and is one of the oldest working cinemas in the country. The Electric Cinema first opened in Londons Portobello Road on 24 February 1910 and was one of the first buildings in Britain to be designed specifically for motion picture exhibition and it was built shortly after its namesake the Electric Cinema in Birmingham, which predates it by around two months. Designed by architect Gerald Seymour Valentin in the Edwardian Baroque style, later, in 1932, the Electric became the Imperial Playhouse cinema, though by this time the Portobello Road area had become rather run down, along with the rest of Notting Hill. Its fortunes however did not improve and thereafter it opened and closed several times without finding commercial success and it closed in 1993 and thereafter began to fall into disrepair. In the late 1990s local property developer European Estates and architects Gebler Tooth, four years of planning followed in which Gebler Tooth developed the plan that would re-establish the commercial viability of the theatre. 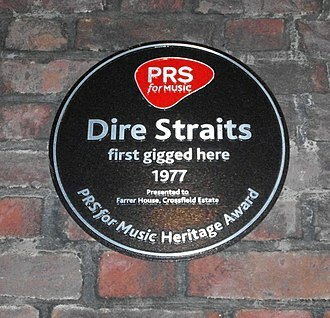 The original Dire Straits line-up in Hamburg, Germany (1978) L to R: John Illsley, Mark Knopfler, Pick Withers and David Knopfler. Baynards on the corner with Chepstow Place, formerly Bradleys.